"What Makes A Great Mobile DJ? Experience!" Hi, my name is Mike Francis and I have been a DJ for more than 25 years. VIP is simply my trade name. If I had to sum up my performance in a single phrase that would be 'Keep the dancefloor packed'. I use recognisable classics, build from more downtempo songs early on to hands-in-the-air floorfillers by the end of the night. Above all, I know what works well and can help create natural, fun and unforgettable parties! Many DJs think that their job is to steal the show. Not me. It's your special night and you and your guests are the centre of attention. My approach is 100% 'cheese-free', so don't expect any inappropriate shouting over the mic! I take great pride in my polished and understated presentation, helping keep you happy and satisfied. By choosing my services, you can rest assured that there will be no silly props or flashy costumes, no harassing your audience, no 'join the dancefloor now' shouts or inappropriate remarks. My years of experience have taught me to adapt, especially with older crowds, who are more challenging to satisfy. I have great confidence in my music and you can rest assured that all your guests should have a great time! And if you prefer a reserved and trendy 'posh city-club' experience, don't forget that I'm a highly skilled nightclub DJ too and I can mix tracks of all genres live on the spot. Required by many venues, VIP Mobile Nightclubs has not provided satisfactory evidence of having current PLI available. Also required by many venues, VIP Mobile Nightclubs has supplied satisfactory evidence of holding current PAT inspections of their equipment dated within the last 12 months. A Method Statement outlining VIP Mobile Nightclubs&apos; Health & Safety procedure for setting up disco equipment has been provided. VIP Mobile Nightclubs has provided Risk Assessments undertaken at events sourced via needadisco.com, indicating that they can undertake these competently. Why do people choose to book VIP Mobile Nightclubs? 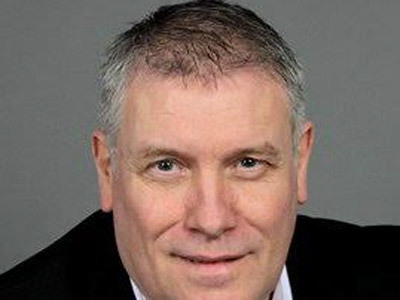 "Mike was excellent, he was easy going, friendly and read my guests very well. He played my playlist of music, along with guests requests and there was always someone on the dance floor which is a very good indication of a good DJ. Everyone had a god evening, so a huge success." 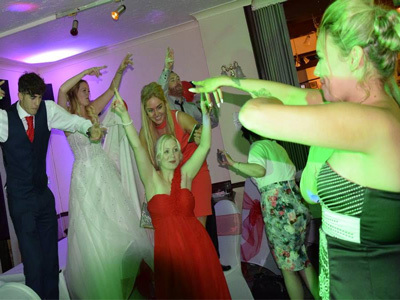 "Mike was a wonderful DJ, he was more than happy to play all requests and was really friendly, exactly what we wanted! I would 100% recommend him to anyone looking for a Dj!! " "I'm so glad you had a great time, it makes the job easy when you have brilliant crowd to play to!" "Mike was fantastic catered to mine and my guests requests. Very happy would defwntly recommend to others." "A crackin' crowd and a great little venue always makes for a good night. Thank you for the kind words, always appreciated." "Excellent communication played everything my daughter wanted for her party, all her friends said best night and music. Would defentley recommend or I will use again . 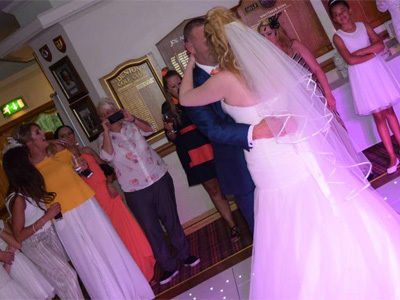 Thank you"
"Thank you so much for your great review of Manchester Wedding Dj Mike Francis & VIP Discos!! I am so pleased they all enjoyed it. 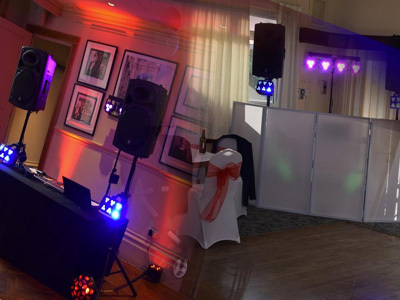 We hope you need a disco again soon and be sure to let us know so we can reserve Mike to DJ at your event for you. Carol. (PA)"
VIP Mobile Nightclubs also offers a range of additional party services not directly linked to musical entertainment. Please note that needadisco.com has no editorial control over these images which are stored on flickr.com. If you have any concerns about what you see below, for example potential copyright infringement or unsuitable content, you should take this up with VIP Mobile Nightclubs directly using the Contact section below, or else you may alert flickr.com directly quoting "set number 72157673628096924". Get FREE no-obligation disco quotes from VIP Mobile Nightclubs and other DJs covering your venue. Take 2 minutes to fill in some basic details and we'll do the rest! If you are contacting VIP Mobile Nightclubs about an event, it's always a good idea to include the DATE, LOCATION, EVENT TYPE, AGE GROUP and TIMINGS to speed things up!